For Josh Griffiths, the Year in Asia program was always an attractive drawcard for studying at ANU. Josh first came across the program at ANU Open Day during his final year of high school. Among the many study options, Josh was particularly interested in International Security Studies and Economics, and eventually enrolled in both the Bachelor of Asia-Pacific Studies and the Bachelor of Economics programs through the Flexible Double Degree. At the time, he knew he wanted to pick up a new language while at university, but he chose to wait until after his gap year to discover which language he was most passionate about. 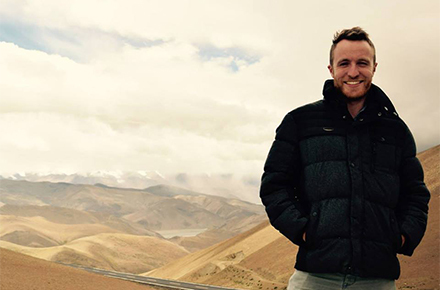 While at Zhejiang University in Hangzhou, Josh met students from all over the world and was able to travel to destinations as far as Tibet and the Philippines. The benefits of the Year in Asia experience were more than just increased language fluency. Josh applied to stay an additional six months at Zhejiang University, and upon return to Australia signed up for an internship through the Australian National Internship Program (ANIP). He spent six weeks in Taipei on the Taiwan Public Policy Internship Program over the summer break. As he wraps up his time as an undergraduate at ANU, Josh is preparing to embark on another internship with Austrade in Beijing. Inspired by Josh’s story? ANU College of Asia & the Pacific offers a huge variety of study opportunities for its students. See for yourself at ANU Open Day.